A 1920S WEST OF TRAIL CHARMER! 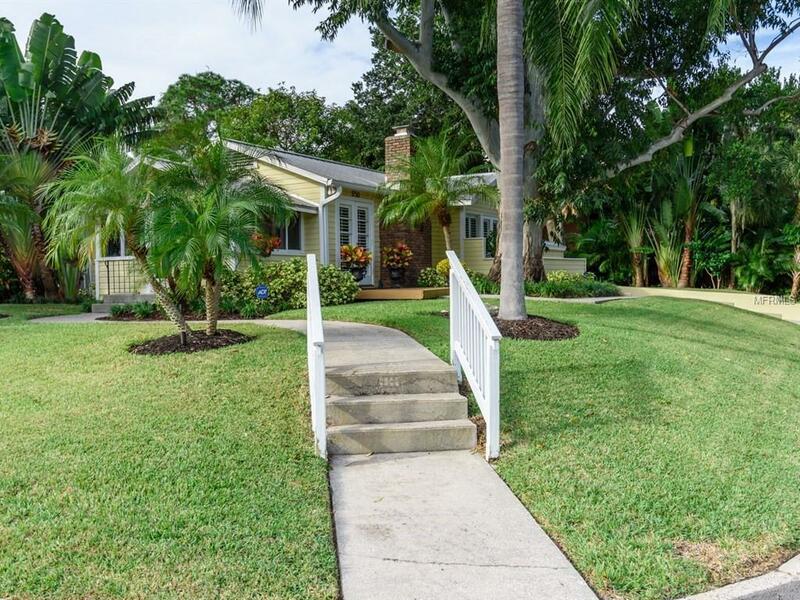 This adorable modernized residence offers an Old FL appeal just a few blocks to the bay. A Lr, Dr, a sunrm, a study, laundry rm, a Mbr w/ pvt deck, 2 Ba & a 300SF guest rm designed to dbl as a gathering spot. Multiple sets of French doors & entry points present several outdoor spaces that include wood decks, paver patios & bonus storage. 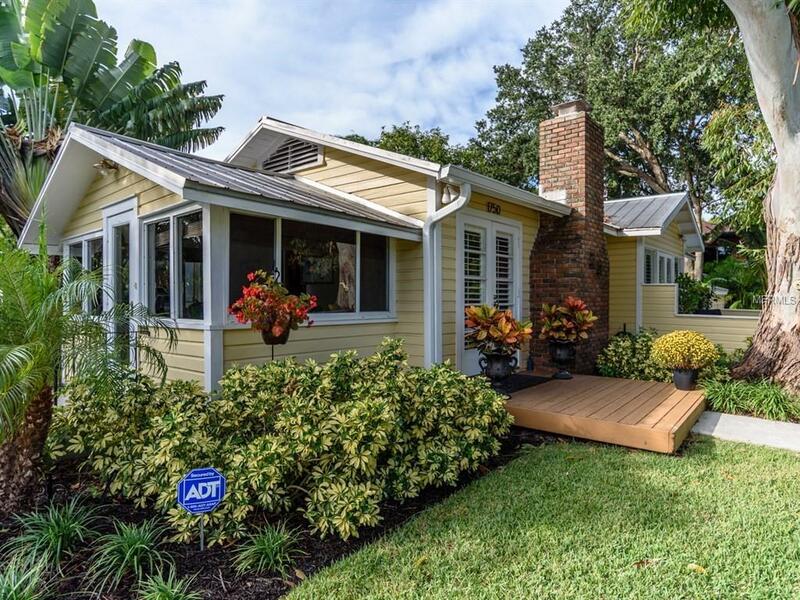 The vintage-inspired interior boasts detailed clgs, crown moldings, plantation shutters, handcrafted trim work, built-ins, furn quality cabinets, solid surfaces, a wood burn fp, solid oak & tiled flrg. The renovated kitch has granite, & an abundance of cabinets. Adjacent the study hosts a gracious built-in desk w/ executive-style storage. The 2nd Ba blends an antique flair w/ modern function & has a jetted tub. The 300SF guest bedrm dbls as a gathering spot w/ built-in storage & wardrobe. 2 sets of French doors grace an array of privacy fenced outdoor areas & provide convenient secondary entry. Owners Suite w/ MBa, WIC & pvt deck. Bonus features include solid construction w/ a quiet interior, zoned a/c, a tankless water heater & new timer-set landscape lighting. 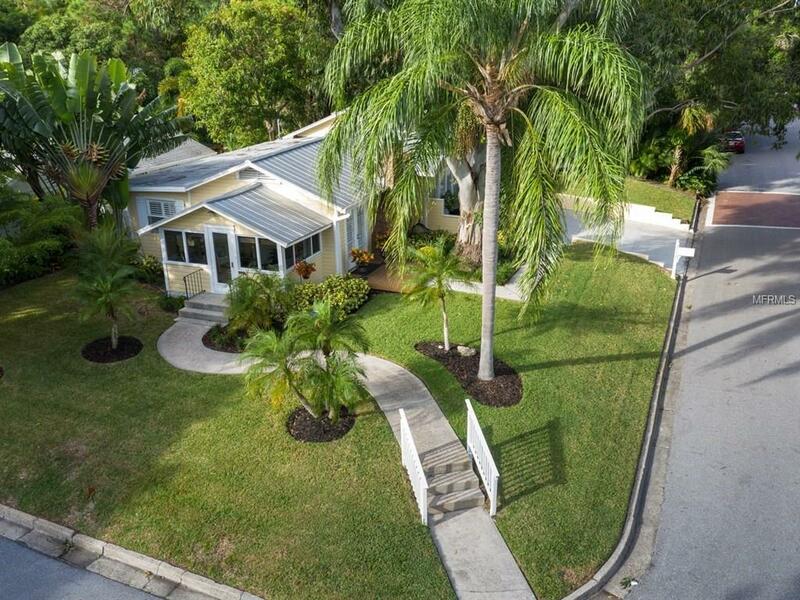 The corner lot boasts a west of trail address w/out restrictions from a HOA. 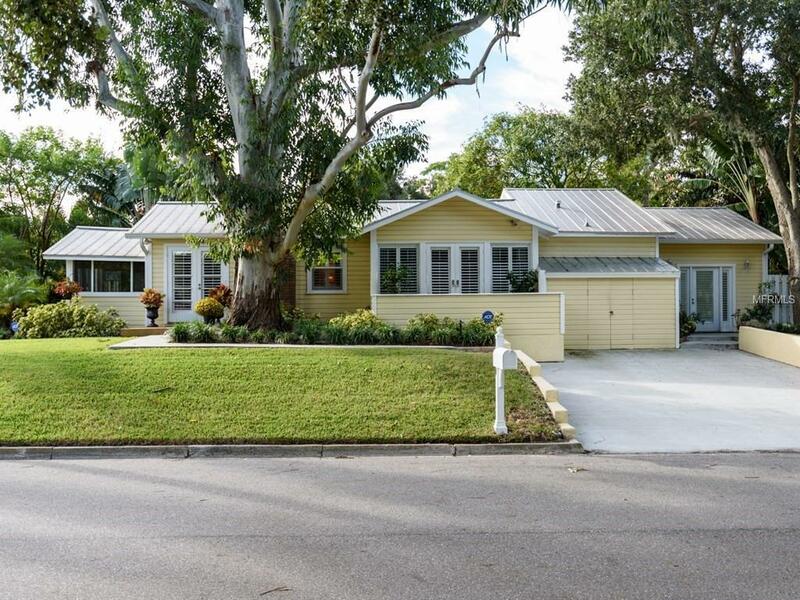 The no-exit street ends at the bay & the location affords a desirable proximity to SMH, charming boutiques & fine dining as well as a being close to Arlington Park, Morton's Market, Selby Gardens, the sugar sand beaches of Siesta Key, the cultural rich Downtown SRQ & its bay front.